They wanted to unite Watergate-weary Americans in a colossal show of pride. Something to encompass all 50 states. Something of a magnitude worthy of the tagline: "So your children can tell their children." Among numerous ideas that were proposed, one rose to the top: A massive wagon train on a west-to-east route of the great Western migration. The national project was coordinated by C. Robert Gruver, a local public relations professional. He oversaw the departure of 60 official wagons from each state (including Alaska and Hawaii). And he rode herd on them until they rumbled into Valley Forge National Historical Park on July 4, 1976. Gruver involved his whole family in the endeavor, including his wife Nancy and children Holly and C.R. Although the senior Gruvers have passed, the trek&apos;s legacy has been preserved by participants that include his daughter, now Holly Gruver Franciamone. As part of her stewardship of the project, she has organized a reunion of surviving waggoneers. They are participating in the July 4 Picnic in the Park event at Valley Forge. It&apos;s a dual celebration: 40 years both for the anniversary of their arrival and the reclassification of the park under federal jurisdiction. Thanks to her father&apos;s role, Gruver Franciamone was privy to many of the in-home discussions on the logistics. But she did more than merely overhear the details of the Bicentennial Wagon Train; she lived it. "We were there when the first wagon went off from Blaine, Washington, in June 1975. We did things like this as a family all the time," she remembers. "We were always traveling with dad for his work. We were a family very accustomed to travel." Over the next year, in the name of participating in a once-in-a-lifetime adventure, Gruver Franciamone and her brother were scooped up from school and sent out to ride. "We would be gone for a week or so, and the other kids would ask, ‘Were you sick?&apos; We say, ‘No, we were riding with the wagon train," Gruver Franciamone recalls. She remembers the year being full of unforgettably good times, but also tinged with sadness. "People died along the way," she says. "Horses got sick and died. My dad was on a train that was held hostage by Indians. There were marriages and divorces, births and deaths, numerous accidents and even a minor mutiny." By July 4, though, 300 wagons - including the sanctioned 60 - jostled their way into Reeves Park in Phoenixville. From there they entered Valley Forge, passing by a reviewing stand where thousands of spectators had gathered. She remembers a long wait for the arrival of President Gerald Ford. Once he had landed in his helicopter - slightly delayed by the morning&apos;s rain - he signed the documents that made Valley Forge a national park. From there, however, the story turned bittersweet. 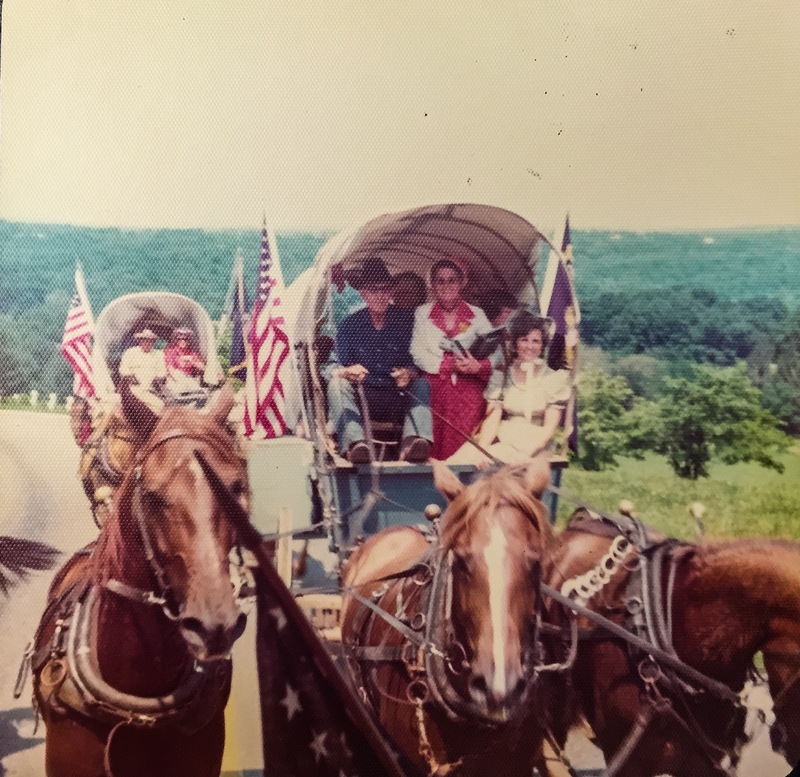 "The Bicentennial Wagon Train stayed at Valley Forge all that summer," she says. "And because we were living in Paoli, we were with them. "But in general, as July 4, 1976, came to a close, it was sad. These people who I had spent so much time with, over so many miles, were going home. It was all over. It was like that little bit of blue that people feel on New Year&apos;s Eve. We looked forward to it for so long and then... that was it." Gruver Franciamone has stayed in touch with her fellow pioneers over the ensuing decades. She is eager to see them again at Valley Forge this July 4. "It may seem odd to celebrate the 40th anniversary of the Bicentennial Wagon Train," Gruver Franciamone says. "I mean, the 50th would make more sense. But the people who lived this - who traveled mile after mile and faced all those challenges and slept in the wagons and dealt with the difficulties - some of them are gone now. And the others are getting older. I&apos;m not sure how many of us will be left in 2026. So the time for this kind of reunion is now." 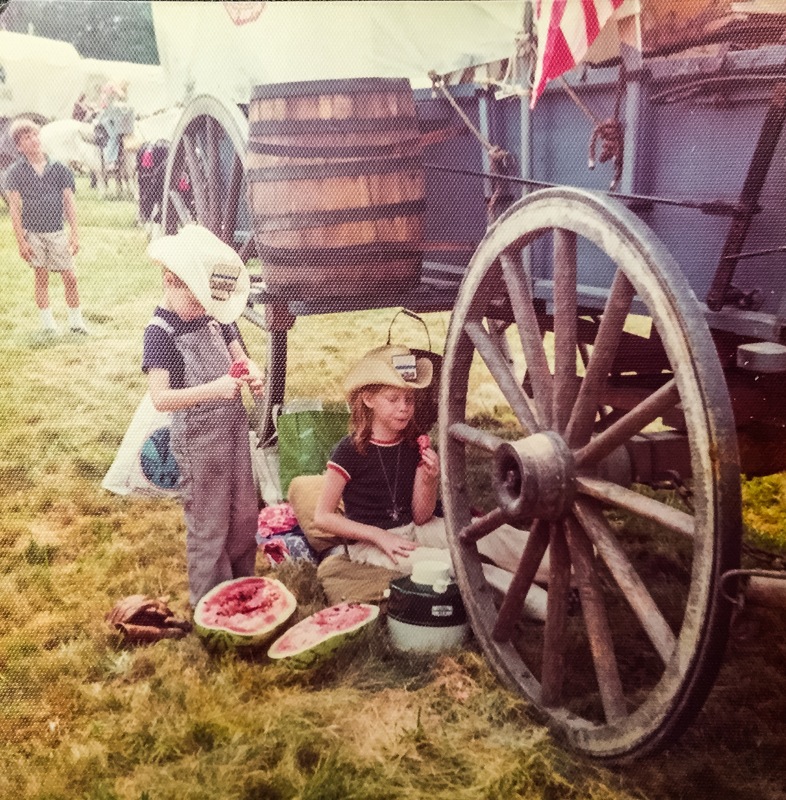 Memorabilia from the Bicentennial Wagon Train of 1976 will be on display in the park&apos;s Meeting Room as part of Independence Day. The public can see the collection and talk to the intrepid travelers who took the journey of a lifetime.